Debut fantasy author John Gwynne's first novel is published by Tor UK on December 6th. Following in the footsteps of David Eddings and Robert Jordan, this coming-of-age high fantasy novel is a really epic read. We recently caught up with John to ask him a few questions about the novel and how it feels to be published. So Malice is your first book, tell us a little bit about it and how long did it take to write such a mammoth story? Malice is an epic fantasy, with all that that suggests. Epic battles, sweeping landscapes, angels and demons, Machiavellian politics and a coming-of-age tale. Also I hope it has a human heart, telling a story about people and their passions. Epic and intimate was my goal. It started about ten years ago - at the time I had recently finished a master’s degree and was teaching at Brighton University. Due to illness in the family - my daughter is profoundly disabled - I stepped out of teaching to help my wife in caring for her. In order to pay the bills we started a vintage furniture business, which we can mostly run from home. I’ve always told stories - to my kids and my wife, and they’ve always encouraged me to write some of them down. So I started to do that, a hobby that restored a bit of ‘me’ in the juggling act that is parenting of three boys, working and also caring for my daughter. It was also a place to indulge my passion for general all-round geekery. Malice and the Faithful and the Fallen series just naturally evolved out of this. Somewhere along the way it grew into something more than just a hobby. I am a fantasy geek, and needless to say I read loads of fantasy, always have, ever since a teacher opened The Book of Three in primary school. Now I love all things fantasy - epic, urban, gritty, steampunk, all of it, but my first love is epic - Tolkien and Brooks and Feist. I wanted to write something that conjured those nostalgic feelings of epic-ness, but make it a bit more character driven, kind of repackage it, like Hollywood repackaged the historical epics of Ben Hur and Spartacus with films like Braveheart and Gladiator. That was my goal, what I was trying to do. The only way I knew how to write was how I’d learnt at university - to read, read, and then read some more, so that’s what I did. Lots of world mythologies - Celtic and Norse and Greco-roman and Slavic and Eastern - then truck loads of ancient history, about weapons and warfare and armour and politics and wolves and bears and Komodo dragons. Also a lot of the classics - Milton’s Paradise Lost and C. S. Lewis’ The Screwtape Letters were early inspirations. Added to that some Blake and Dante and Machiavelli. Really anything that sparked a bit of passion went into the pot. The reading took a few years, at the same time I was thinking about plots and characters, just writing down ideas. Then I started writing. It took another five years to map out the series and write book one, Malice. How did you feel first seeing the published book? That was an utterly amazing feeling. It really was a ‘dream-come-true’ moment. I have never entertained the idea of being a published author, it just always seemed like something that happened to other people. It still comes as a shock that Malice has gone from notes on my desk to a real book with an awesome cover (just love that sword). There has been a lot of celebrating, involving the drinking of mead and the dancing of jigs! I frequently look at my wife and kids and just smile about it. You’re a fan of historical re-enactments – how have these influenced you? I love ancient history. I love historical re-enactment, and fortunately so do my wife and children. We attend as much as we can given our circumstances. Herstmonceux Medieval Festival is a regular for us - haven’t missed one in about 15 years. Also we live close to Battle Abbey, so there’s always some kind of Saxon and Norman action going on. I tried to bring some of the realism and grittiness of ancient life to Malice, from day to day living to warfare - how it really feels to block a sword swung at your head. What authors do you read for pleasure and who has inspired you? My reading drifts between fantasy and historical. At the moment I’m reading The Twelve by Justin Cronin, which is brilliant. Before that it was Mazarkis Williams, another excellent read, next will be Bernard Cornwell. Favourite authors are so many - in fantasy Tolkien of course, George R. R. Martin, David Gemmell, also J. V. Jones and Brian Ruckley. Mark Lawrence is an exceptional writer. And I love Ben Aaronovitch. There are many many others. 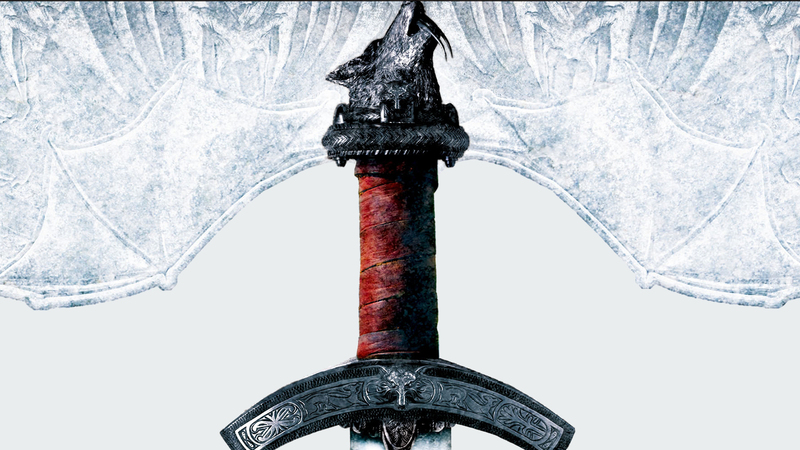 In historical fiction Bernard Cornwell is still my favorite - his ‘Arthur’ trilogy is one of my top reads of all time. Also Robert Low for rousing Viking action, Conn Igulden, Steven Pressfield, Angus Donald, Simon Scarrow. So many others. As far as inspiration, I think all of the above. Narrowing it down a bit, I attempted to write something that had an epic storyline, like Tolkien and Jordan, multiple points of view and political double-dealing, like Martin, a coming of age tale, like Eddings, real-feeling character driven twists, like J. V. Jones, and plenty of action, like Gemmell. I was writing for me and my family, so just tried to write something that I’d want to read. If you could come back in any period of history, when would it be and why? Crikey! I love ancient history, but I’m not sure I’d like the reality of life without antibiotics and central heating and haagen dazs. Also I’d probably end up coming back as a peasant called Baldrick. Still, if I had to choose a time, it would have to be the fifth century, as the Roman’s pulled out of Briton. I’d love to know if there was an Arthur. I secretly hope there was.